A distributed audio system brings high-quality sound to various spaces within your home or business based on your needs and preferences. The speakers can be set to work in conjunction, providing a consistent experience as you move between rooms. Advanced systems allow you to choose different audio feeds for different spaces, letting you shift the sound based on the mood of the room. 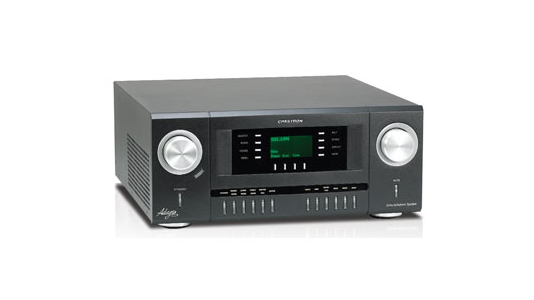 Whether you want to connect to your television to experience movie sound that rivals that of theaters, connect your smartphone for streaming audio, or tune in your favorite radio stations, you are sure to find a multi-zone audio system that will work for you. With Geeks of Technology, installing a distributed audio system in South Florida for your home or office is made simple. Our experts provide a seamless distributed audio system using only the highest quality technology on the market, turning your home or office space into the ultimate sound machine, no matter what you are using it for. Here at Geeks of Technology, we listen to your requirements, see your vision, and recommend components based on your actual needs instead of offering a cookie cutter solution based on what the last customer needed. Our expert home and office automation company in South Florida is here to create the custom solution to bring your dream audio system to life, and we won’t be satisfied until you are. Turn your home of office space into one with pristine, luxurious sound that makes your guests feel like they are on vacation, and ensures your biggest prospects that you mean business and you demand the best of the best, in everything you do. Contact our distributed audio geeks today and get started designing a streamlined audio integration system that takes your home or commercial office space to the next level. All of the distributed audio systems we install feature high-quality sound and solid construction. 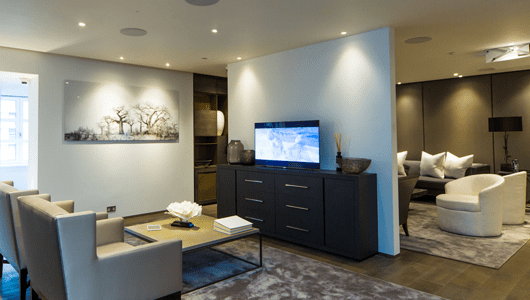 Whether you are looking for external sound systems or a wall and ceiling mounted solution, we have the right speakers for your home automation system. There is no rule that says a speaker must stick out in your space. Today’s sound equipment features sleek, contemporary designs that can be matched to your home décor and personal aesthetic. Now your sound can make a statement on its own, rather than being an eyesore in the room. For those who want to hear the highest highs, the lowest lows, and everything in between, our distributed audio systems use the best technology available to bring you crystal clear sound whether you are listening to your favorite piano concerto or the latest action blockbuster. No two spaces are alike. In order to meet the unique demands of your space, our team will create a customized plan just for you. Your smart home system isn’t standard, and your audio system shouldn’t be either. Whether you prefer to have subtle background music while you and your guests enjoy dinner, or would like to turn things up to get the party started, a distributed audio system installation in South Florida can leave the control in your hands, in your home or your office space. Discrete ceiling and wall mounted options allow you to experience quality sound in your home or office without noticeable speakers intruding on your design. With proper installation and subtle integration, distributed audio for home or office can appear as though the sound is coming straight out of the air.